The Royal Commission commenced with a preliminary hearing on 18 January 2019. During the hearing, the Commissioners outlined the status of the enquiries of the Commission to date and what was likely to occur during the term of the Commission. Appearing below are some of the key features of the Royal Commission, outlined by the Commission and detailed in the transcript of the hearing. Part of the work of the Royal Commission is to examine existing policy regulations and practices in order to consider reform and change to deliver better outcomes to those receiving aged care in the future. At the present time, providers have not been compelled (unless requested) to provide information in response to the requests for information made by the Commission. Instead, the Commission has asked providers for “assistance and cooperation” in the provision of their responses. The Commission will engage with the Community. This has already commenced with round table and informal discussions with stakeholders. Public Hearings will be held in each capital city and in some regional centres. A Practice Guideline with respect to the conduct of the hearings including evidence of witnesses, cross-examination and tender of evidence has been published on the Royal Commission website. Any attempt by an operator to instruct staff not to talk to the Royal Commission will be taken very seriously by the Commission and could amount to an offence. inadequate wound management leading to death. A further issue for providers is record keeping and record management. To date 300 submissions have been received by the Royal Commissioners from members of the public from around Australia. 51% raised staff ratios as concerns. Before the Royal Commission was announced, 5000 submissions were made to the Department of Health. Those submissions will be treated as submissions made in the Royal Commission itself. Evidence will be called from staff in providing aged care, experts, advocacy bodies; workforce representative bodies; professional bodies; aged care sector representative bodies; aged care providers and government bodies. The first substantive hearing is scheduled to commence on 11 February 2019 in Adelaide. how the system is expected to be operated, monitored and regulated in the future under the Aged Care Quality & Safety Commission. We will be reporting major developments in the Royal Commission as they arise. For more information on how we can assist Aged Care Providers, please refer to our previous articles and eBook. 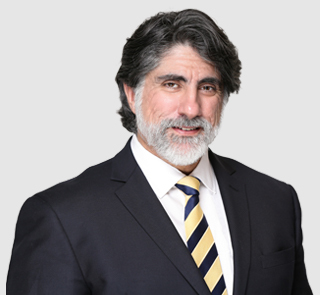 Should you require assistance, please contact David Glinatsis, Solicitor -Principal and director of a not-for-profit aged care facility for over 25 years. Contact us at excellence@kreisson.com.au or on 02 8239 6500.